Johnson & Johnson today acknowledges the issuance of a “Rapid Communication” by the World Health Organization (WHO) describing key changes to treatment guidelines for multidrug- and rifampicin-resistant tuberculosis (MDR/RR-TB). The document describes a regrouping and ranking of MDR-TB drugs based on the latest evidence about the balance of effectiveness to safety. The oral medicine bedaquiline (SIRTURO®) is now categorized as a “Group A” medicine to be prioritized when constructing a conventional (long-course) regimen for the treatment of MDR-TB as part of combination therapy in adults and children. When bedaquiline received accelerated regulatory approval from the U.S. Food & Drug Administration (FDA) in 2012, it was the first targeted TB drug with a novel mechanism of action developed in more than 40 years. Bedaquiline was approved on Phase 2 clinical trial data for use as part of combination therapy in adults with pulmonary MDR-TB, when an effective treatment regimen cannot otherwise be provided. In 2013, six months after the FDA approval, WHO issued initial guidance on the use of bedaquiline. This guidance, which was based on data available at the time, recommended that bedaquiline could be added to the conventional WHO-recommended regimen in adult patients with pulmonary MDR-TB, when an adequate regimen was not feasible due to resistance or tolerability issues. WHO’s new grouping and ranking of drugs is based on a rigorous, independent review of available safety and effectiveness data of all TB drugs, including bedaquiline. The new designation of bedaquiline as a “Group A” MDR-TB drug means that bedaquiline is now recommended by WHO to be included as part of the long-course regimen for MDR-TB (unless its use is otherwise contraindicated). Importantly, the new guidelines also prioritize fully oral regimens as the preferred approach for MDR-TB treatment. WHO has determined more evidence is needed on the effect of replacing any of the agents with alternatives in the standardized shorter MDR-TB regimens that have been recommended since 2016. Consolidated, updated and more detailed WHO policy guidelines on MDR-TB treatment will be provided by the end of 2018. Approximately half of all MDR-TB patients may be eligible for a short-course regimen. In June, South Africa became the first country to recommend the use of an injection-free bedaquiline-containing regimen for all eligible MDR-TB patients receiving both long- and short-course regimens. This decision was based on new data from the country, published in The Lancet Respiratory Diseases. In recognition of the country’s leadership, Paul Stoffels joined Minister of Health Aaron Motsoaledi in announcing a special effort price for bedaquiline to enable rapid scale-up of the drug. Johnson & Johnson will also offer this special effort price to eligible national TB programs procuring bedaquiline through the Stop TB Partnership’s Global Drug Facility. Since December 2012, through a combination of donations and product sales, Johnson & Johnson has provided a total of nearly 65,000 courses of bedaquiline to patients in need in more than 100 countries. 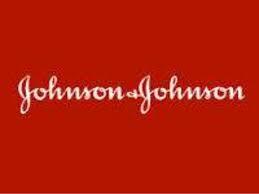 In April 2015, Johnson & Johnson committed to donate 30,000 courses of treatment to eligible low- and middle-income countries through a donation program with the United States Agency for International Development (USAID) and JSC Pharmstandard. Earlier this year, the company committed to donate up to 30,000 additional courses to meet patient need through March 2019. Johnson & Johnson’s new bedaquiline special effort pricing model will go into effect immediately in countries currently procuring the medicine. Those countries currently accessing the medicine through the company’s donation program will transition to the new model in March 2019. Beyond expanding access to bedaquiline and delivering on our post-approval commitments, Johnson & Johnson recognizes the extensive need for more new treatments and multi-drug regimens that are safer, shorter and more effective than many of the current treatments for the disease. Today, Johnson & Johnson is one of a very small number of healthcare companies undertaking tuberculosis research and development. Through its Janssen Pharmaceutical Companies and in partnership with leading global research institutions, such as India’s Institute of Microbial Technology (IMTECH), part of the Council of Scientific and Industrial Research (CSIR), Johnson & Johnson is advancing several programs aimed at developing the innovations necessary to end TB. TB is the world’s deadliest infectious disease, claiming 1.7 million lives globally in 2016. MDR-TB is a particularly complicated form of TB characterized by resistance to at least two of the most powerful drugs in the first-line treatment regimen (isoniazid and rifampicin). Globally, MDR-TB is a growing threat. In 2016, there were an estimated 490,000 new cases of MDR-TB, and drug-resistant TB now accounts for approximately one-third of all deaths from antimicrobial resistance (AMR). Charting a bold new, self-sustainable approach, Johnson & Johnson has established the first fully-dedicated organization within a healthcare company focused on combining innovative R&D, novel access programs and approaches, in-country operations, advocacy and the power of multi-sectoral partnerships to ensure that treatments and technologies are available, affordable and accessible for the world’s most under-served populations. Harnessing the extensive resources and expertise from across Johnson & Johnson, the Global Public Health team is using big for good to place an unparalleled focus on accelerating the pace of innovation needed – from discovery to delivery – to make TB and HIV history, eliminate intestinal worms, address mental health and tackle other public health challenges. Learn more at www.jnj.com/global-public-health and follow us @JNJGlobalHealth. This press release contains “forward-looking statements” as defined in the Private Securities Litigation Reform Act of 1995 regarding bedaquiline (SIRTURO®). The reader is cautioned not to rely on these forward-looking statements. These statements are based on current expectations of future events. If underlying assumptions prove inaccurate or known or unknown risks or uncertainties materialize, actual results could vary materially from the expectations and projections of the Janssen Pharmaceutical Companies and/or Johnson & Johnson. Risks and uncertainties include, but are not limited to: challenges and uncertainties inherent in product research and development, including the uncertainty of clinical success and of obtaining regulatory approvals; uncertainty of commercial success; manufacturing difficulties and delays; competition, including technological advances, new products and patents attained by competitors; challenges to patents; product efficacy or safety concerns resulting in product recalls or regulatory action; changes in behavior and spending patterns of purchasers of health care products and services; changes to applicable laws and regulations, including global health care reforms; and trends toward health care cost containment. A further list and descriptions of these risks, uncertainties and other factors can be found in Johnson & Johnson’s Annual Report on Form 10-K for the fiscal year ended December 31, 2017, including in the sections captioned “Cautionary Note Regarding Forward-Looking Statements” and “Item 1A. Risk Factors,” and in the company’s most recently filed Quarterly Report on Form 10-Q, and the company’s subsequent filings with the Securities and Exchange Commission. Copies of these filings are available online at www.sec.gov, www.jnj.com or on request from Johnson & Johnson. Neither the Janssen Pharmaceutical Companies nor Johnson & Johnson undertakes to update any forward-looking statement as a result of new information or future events or developments.